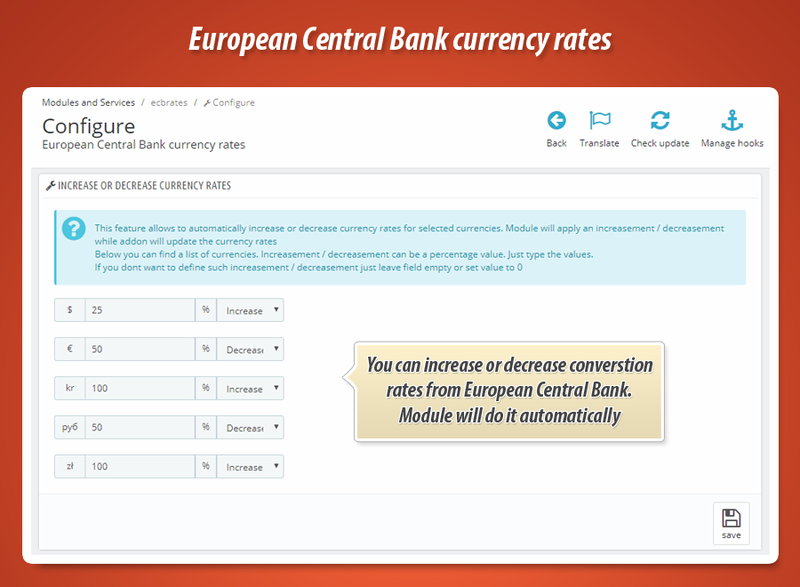 This module allows to update the currency rates in PrestaShop with currency rates published by European Central Bank. It is great alternative for default currency rates feature that does not work properly. 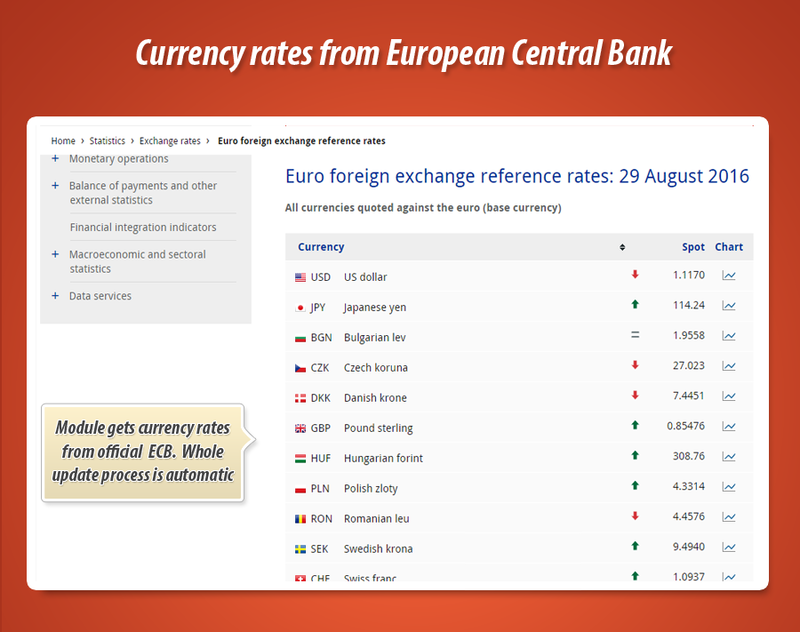 This PrestaShop module allows to automatically change currency rates in your online shop with rates from European Central Bank (ECB). Whole process of currency update is automatic and it is based on CronJobs like default feature. List below shows all currency rates available in the module. It can supports more currencies because ECB from time-to-time adds new currencies. As I already mentioned this module automatically changes the currency rates. There is also possibility to update currencies any time you want. It is enough to click on special link in shop back office. Right after you will access to page - module will update all currencies available in the shop. 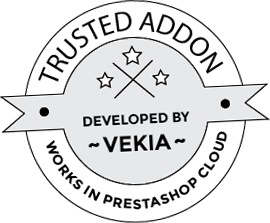 Module allows to define an impact on conversion rate. You can increase / decrease it by percentage value. Each currency that you've got in your shop can have own unique conversion rate impact (decrease or increase) and own impact percentage value. Module, while it will upate the currency rates from euopean central bank will apply an impact automatically.